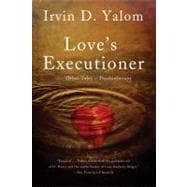 The collection of ten absorbing tales by master psychotherapist Irvin D. Yalom uncovers the mysteries, frustrations, pathos, and humor at the heart of the therapeutic encounter. In recounting his patients' dilemmas, Yalom not only gives us a rare and enthralling glimpse into their personal desires and motivations but also tells us his own story as he struggles to reconcile his all-too human responses with his sensibility as a psychiatrist. Not since Freud has an author done so much to clarify what goes on between a psychotherapist and a patient. Irvin D. Yalon, M.D., is an Emeritus Professor of Psychiatry at Stanford University and a psychiatrist in private practice in San Francisco and Palo Alto. He is the author of numerous books, including Theory and Practice in Group Psychotherapy and when Nietzsche Wept. He lives with his wife in Palo Alto, California.